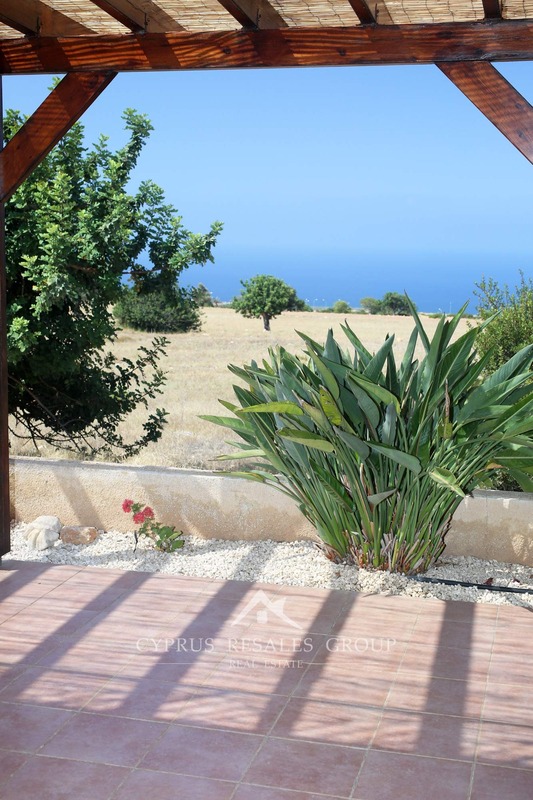 The ultimate sanctuary retreat where the land meets the sea and sky and merge into a harmonious whole. 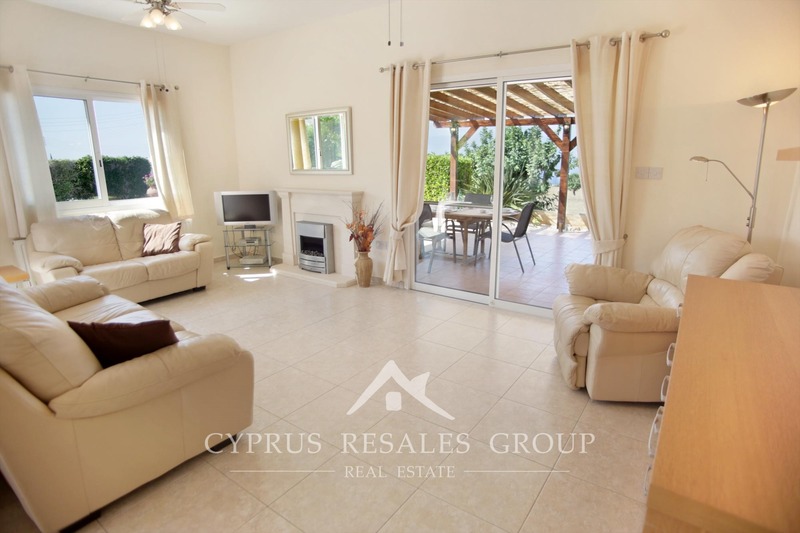 This home enjoys the most tranquil location in the popular hillside Zalakia area of Peyia village on the outskirts of Paphos. 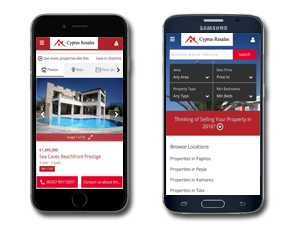 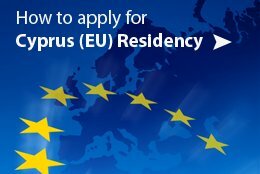 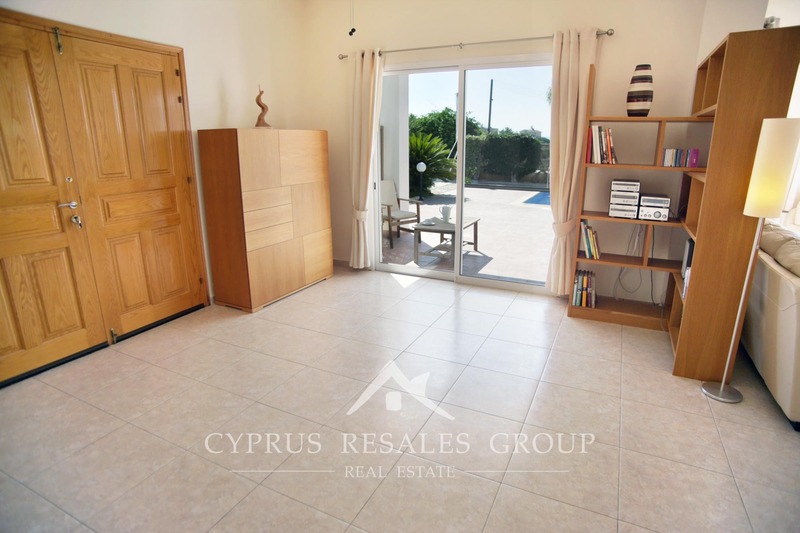 This address also benefits an easy reach of the beautiful beaches of Coral Bay and the future Paphos Marina in Kissonerga. 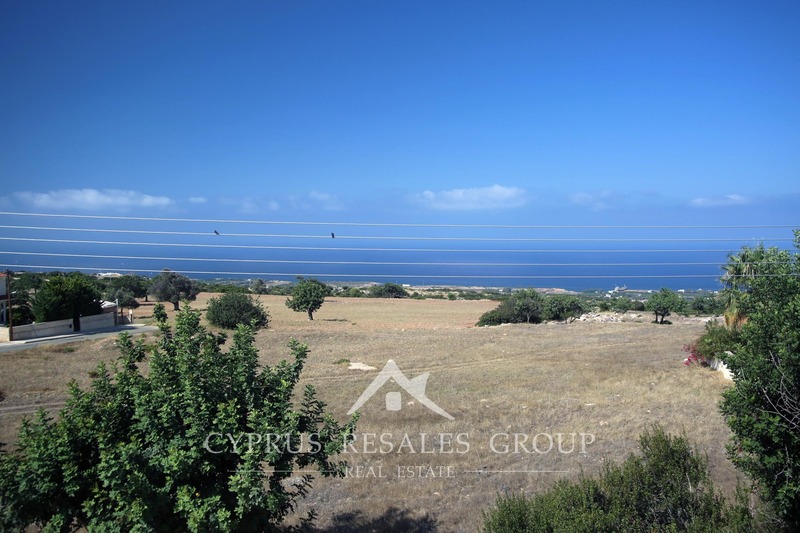 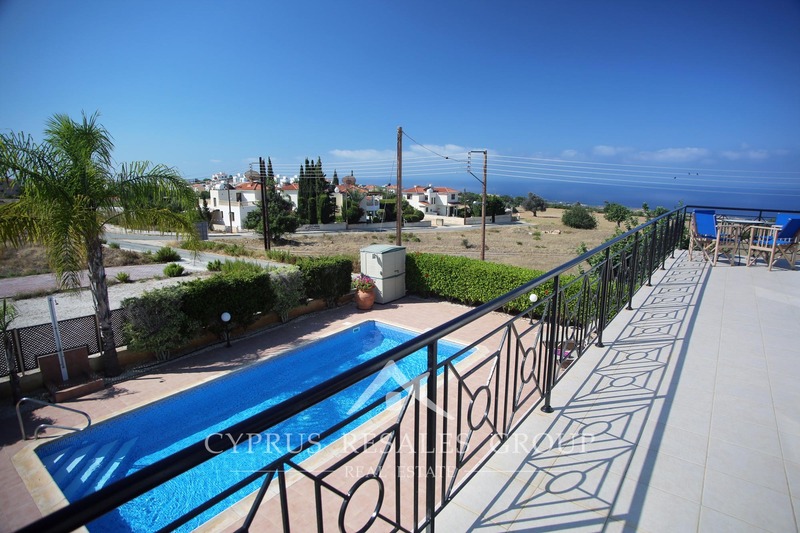 If you’re in the market for a top-notch large family villa in the Paphos area with stunning sea views then continue reading. 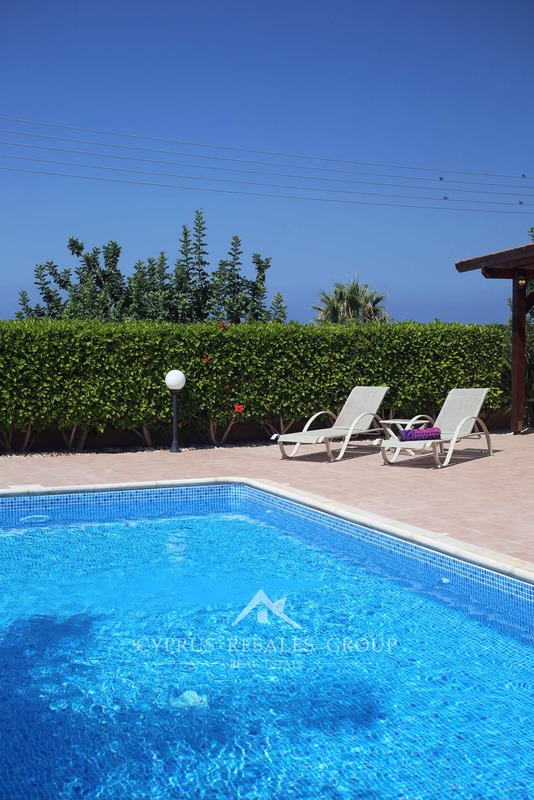 “Quality” is the watchword for this villa and it’s apparent from your first look inside that you have found something special. 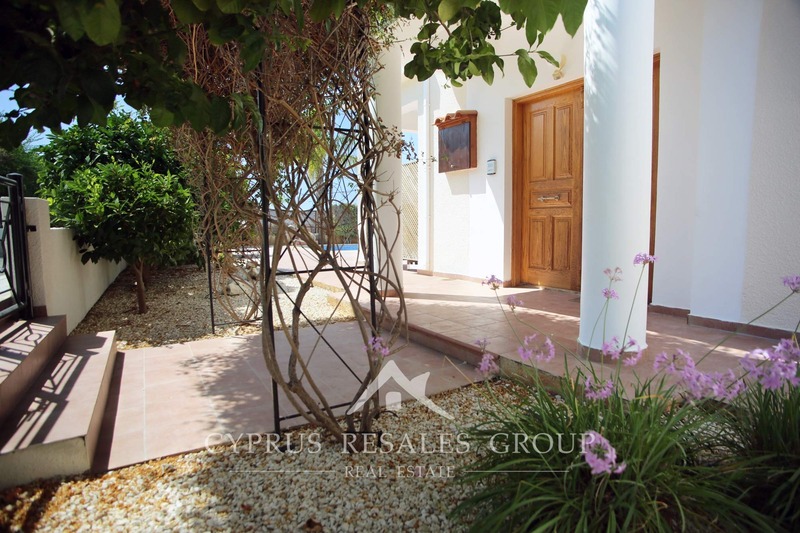 Entering the villa through large wooden double doors we are welcomed by a generously proportioned entry hall. 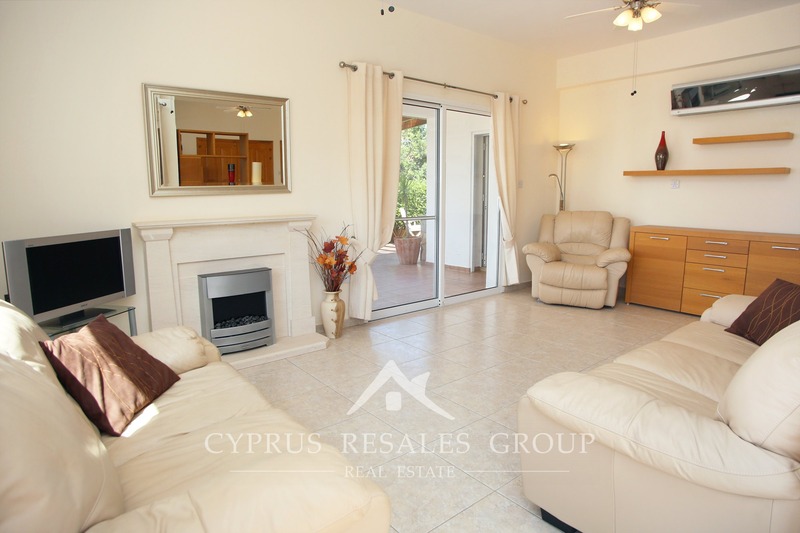 Bright living room with a feature fireplace offers you to plenty of room to accommodate a large company. 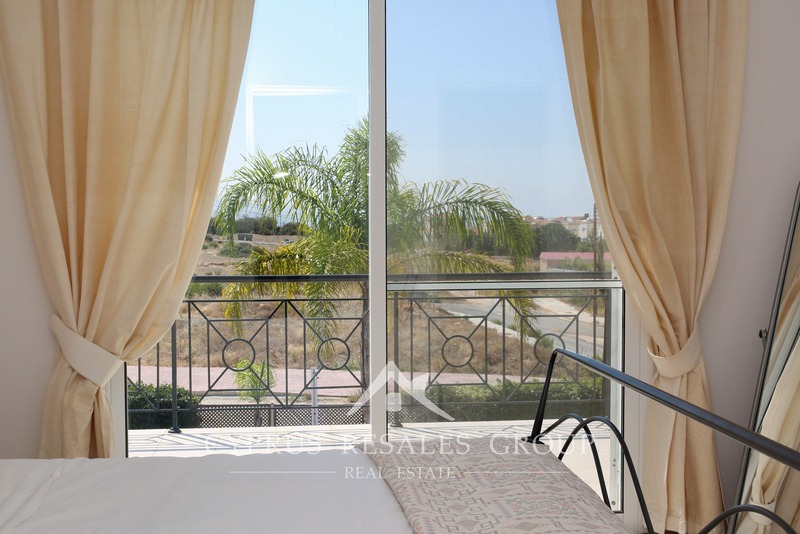 Large patio doors are offering to continue our journey outside into onto the covered veranda with a beautifully presented dining area that overlooks the pool terrace and Mediterranean coastline. 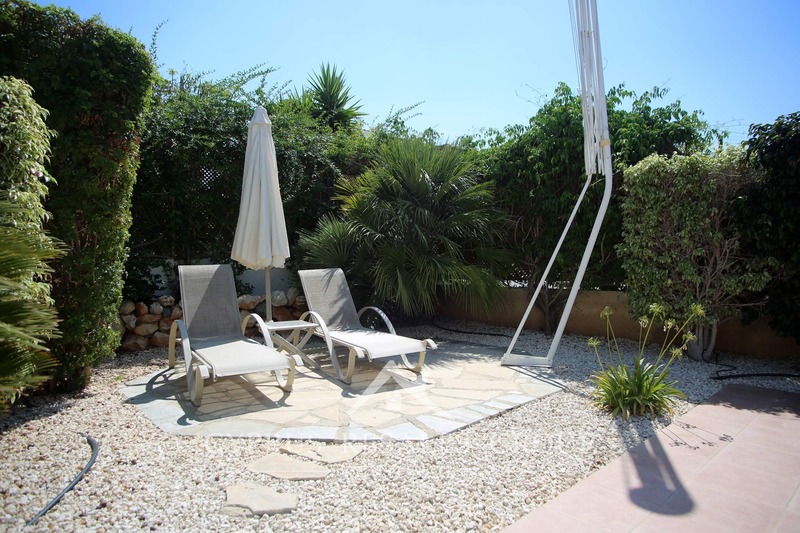 Next to it, we find a complimenting BBQ area. 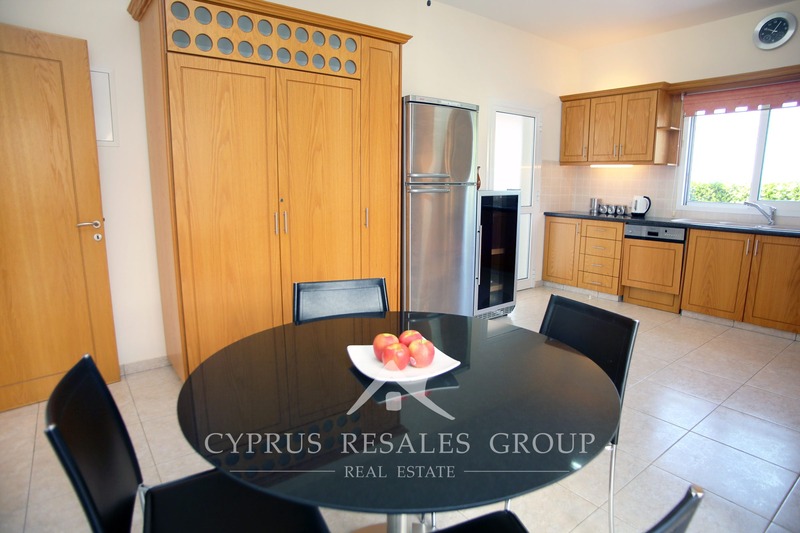 Here is a backdoor that takes us back inside the villa into the kitchen. 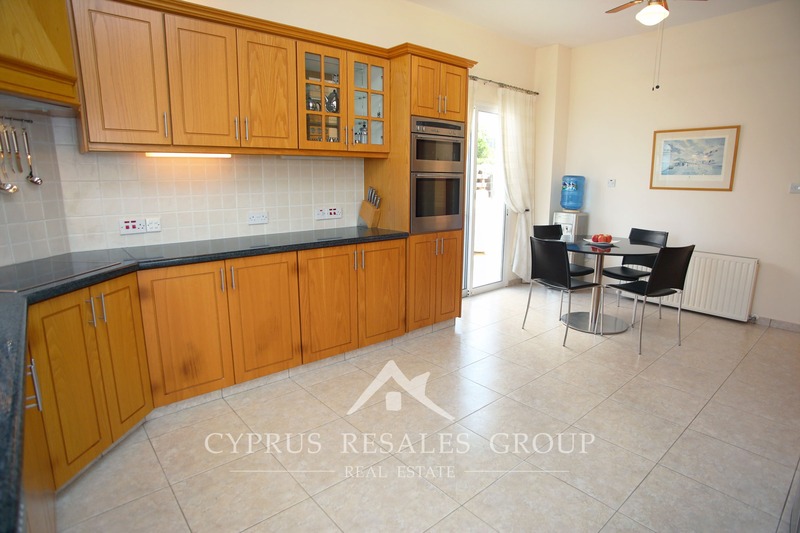 The French style kitchen is an excellent size and perfectly positioned to allow for the free flow of healthy Mediterranean delights to the shady outside terrace. 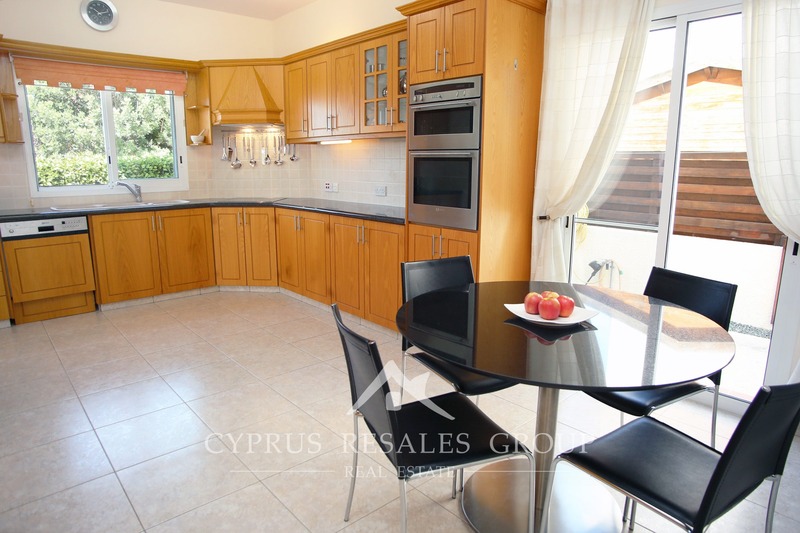 Finished in golden oak with dark granite counter it complements the country feel of the entire villa. 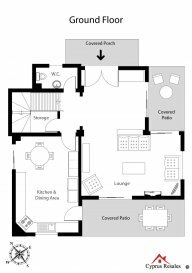 Guest W.C. and a roomy storage area completing the ground level. 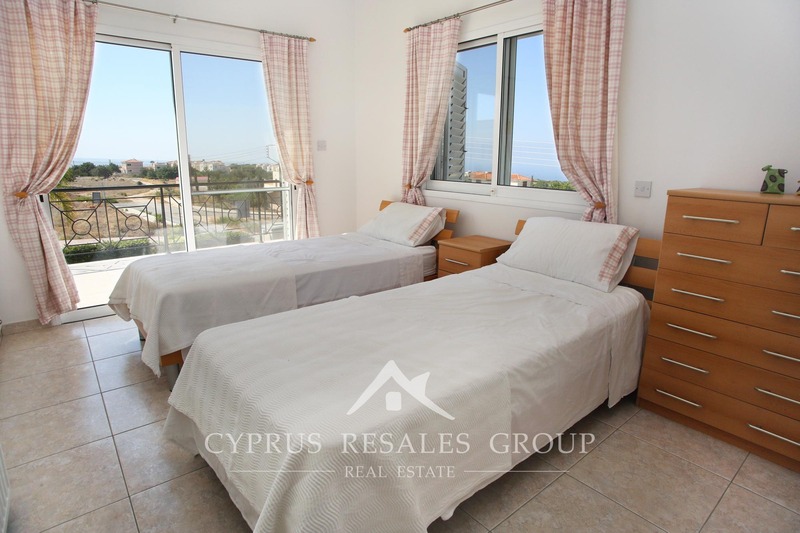 On the first floor, there are three ample bedrooms with high pitched ceilings and lots of wardrobe space. 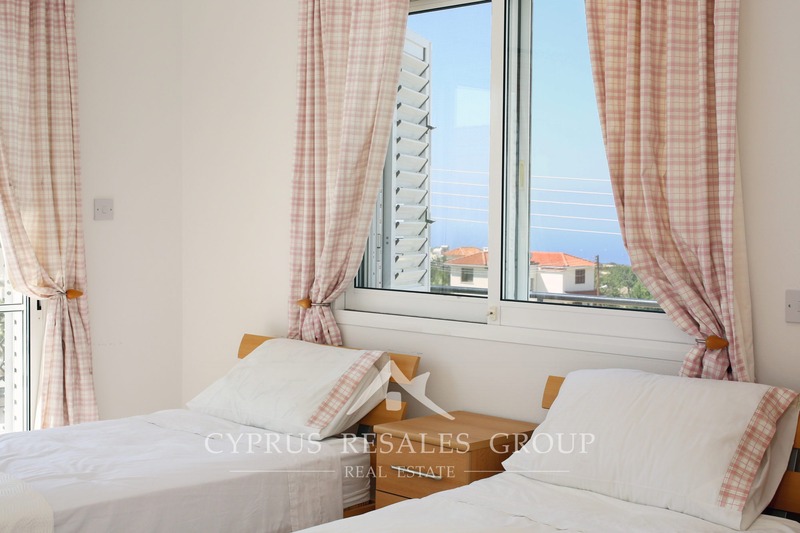 All bedrooms open to a stunning “L”-shaped balcony where you’ll be dazzled by the views of the sea and the expansive views of the countryside with sea views. 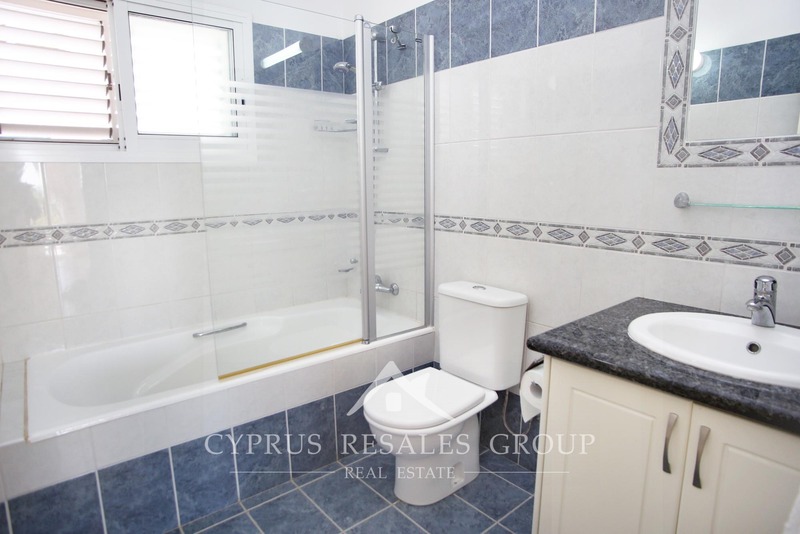 The master bedroom enjoys the privacy of a stylish private en-suite, whilst bedrooms two and three share a great family bathroom. 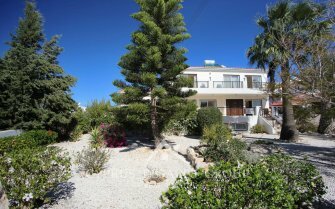 The garden of this unique property deserves a special attention. 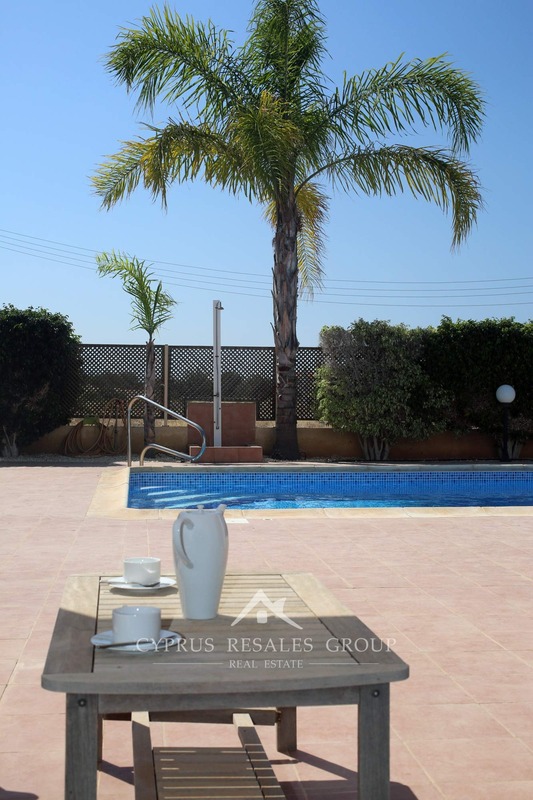 Vast terrace around the pool is framed with beautiful palms and flowering hedge providing you with extra privacy. 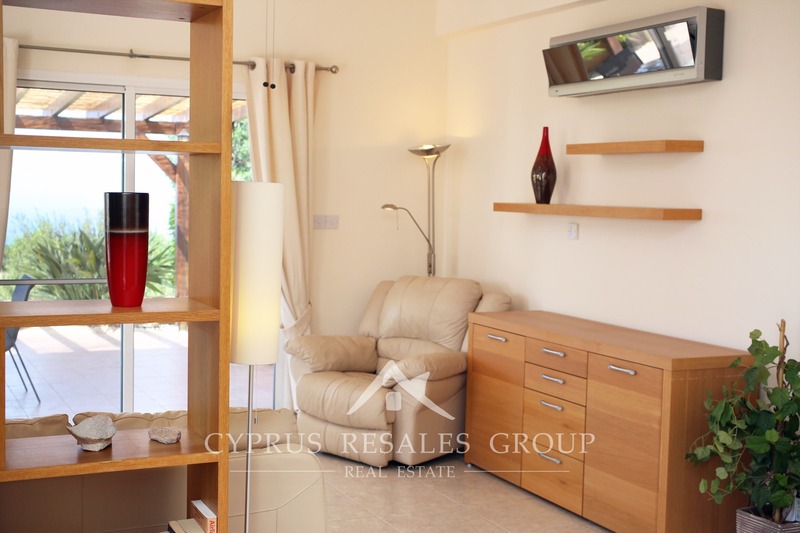 Relaxing alcoves and quiet retreats surrounding the villa offer soothing tranquility. 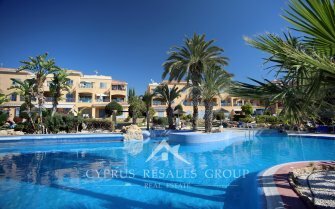 Here you enter into a magic world that’s full of color and a heavenly aroma of Mediterranean garden that you have always dreamed about. 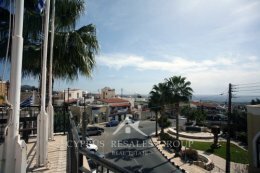 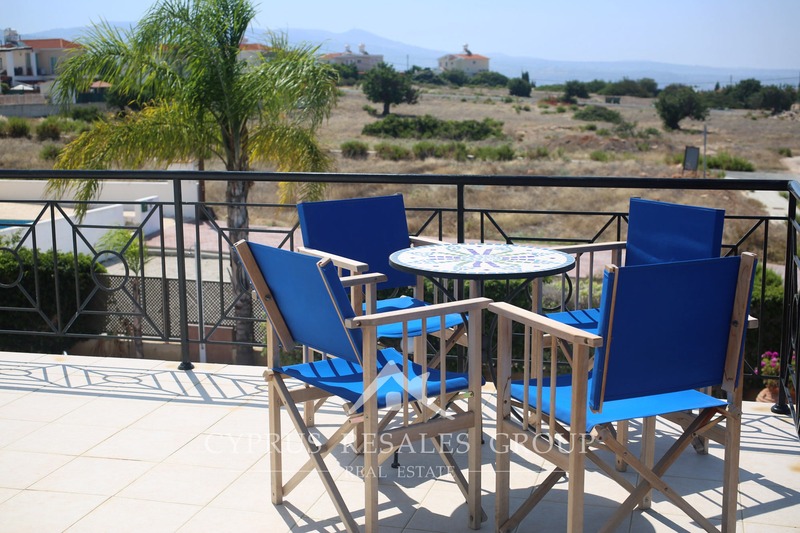 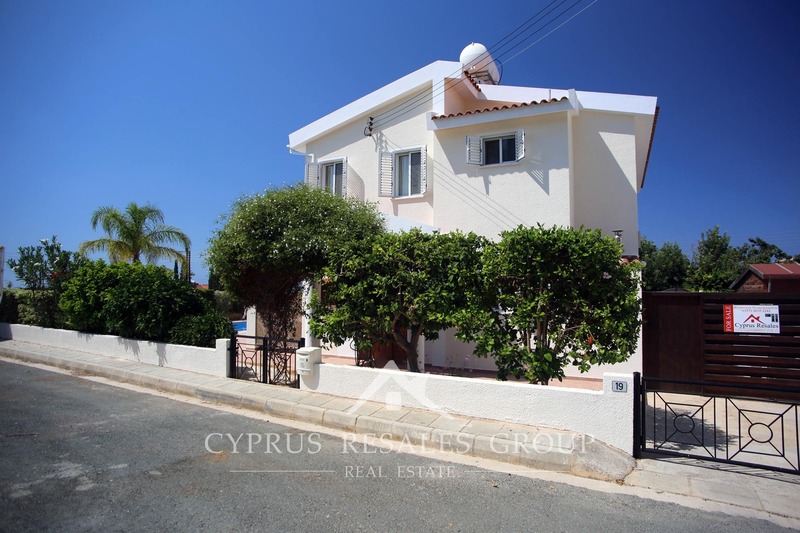 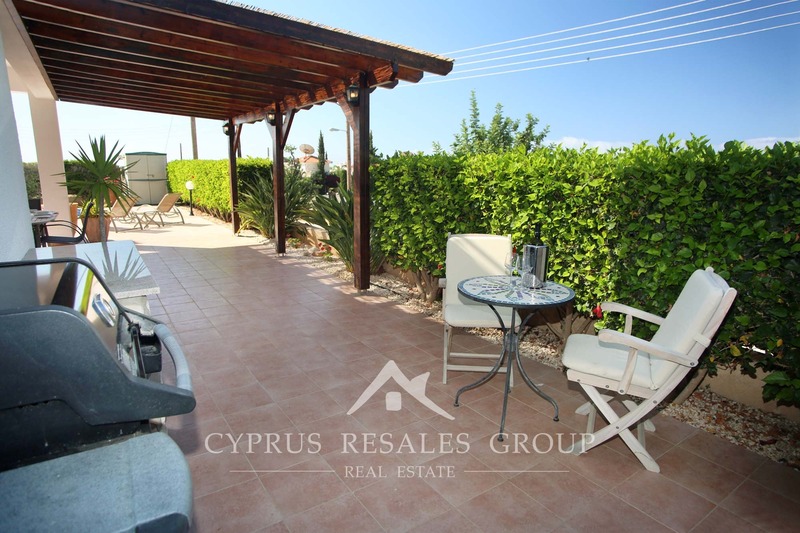 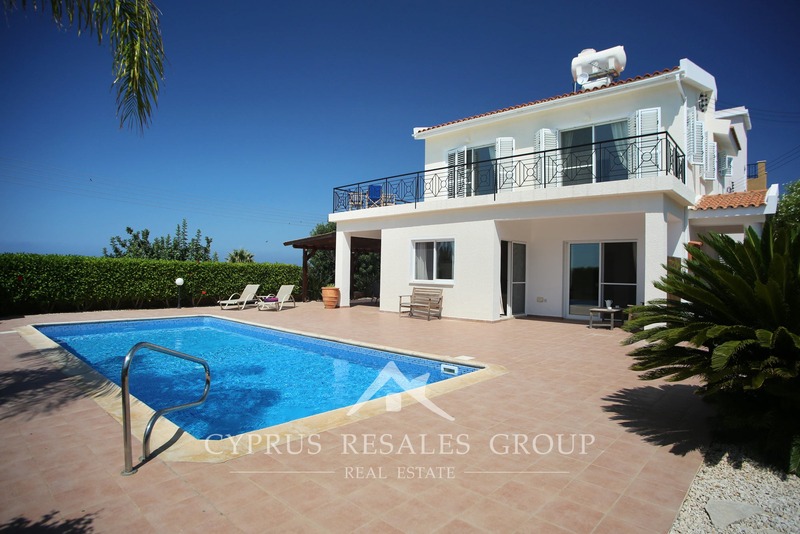 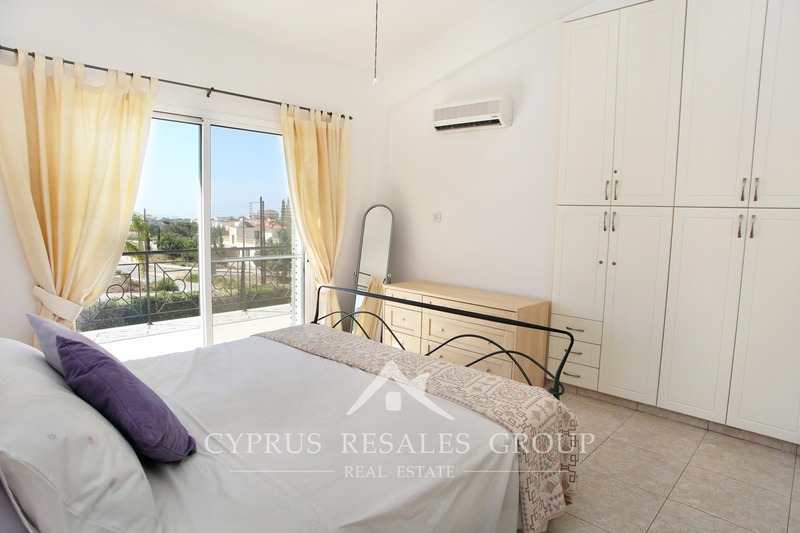 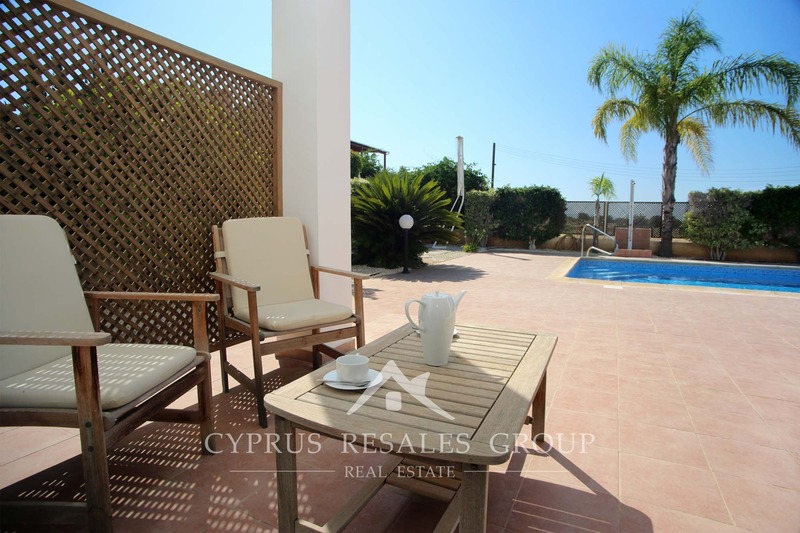 When you close your eyes and imagine your perfect Cyprus property this idyllic setting with its elevated location, family friendly outside and comfortable interior (full central heating) is sure to be at the forefront of your perfect dream house. 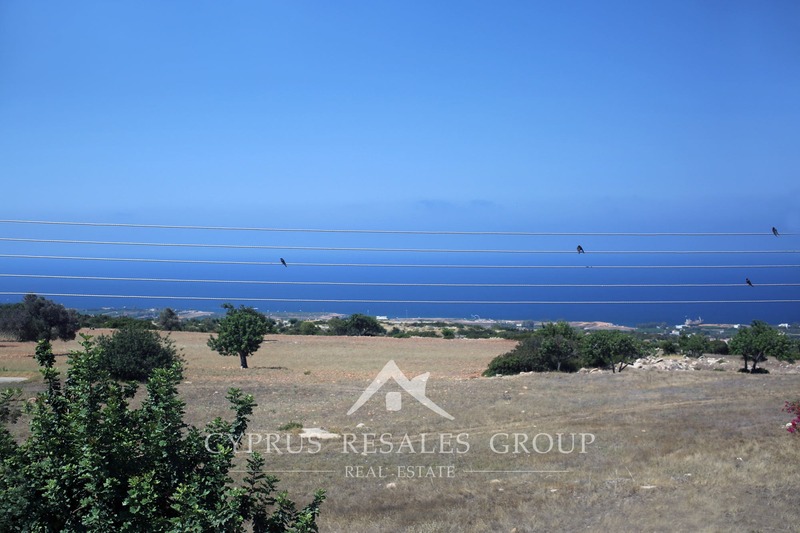 Start the process of making Peyia Skyline Villa yours today by completing the form below. 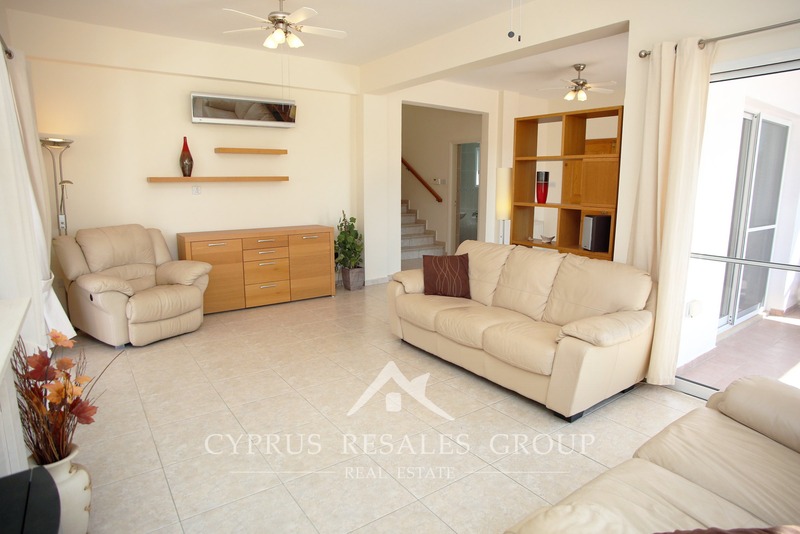 You have worked hard and you simply deserve it!